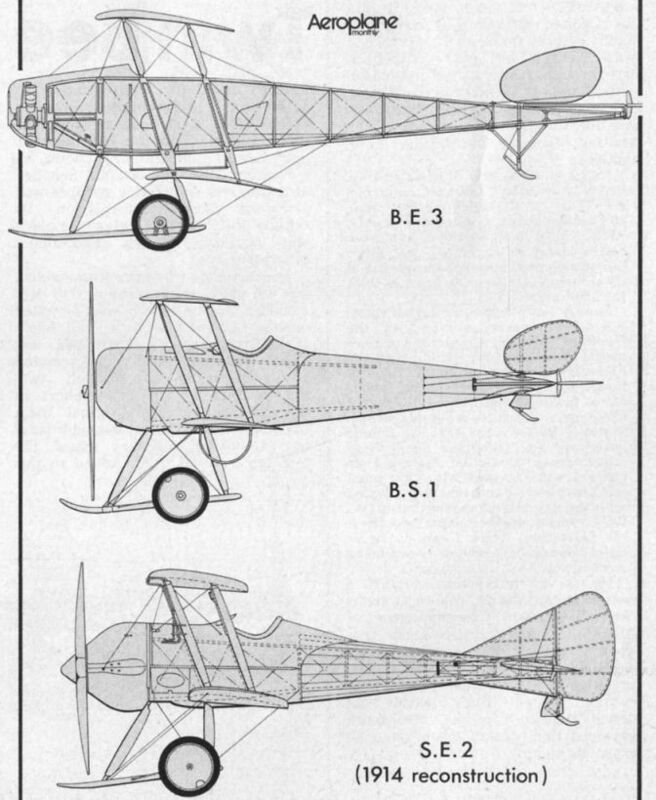 The S.E.1, photographed when still fitted with the all-flying foreplane. Note the flank radiators, substantial propeller shaft and the drag-inducing petrol and oil tank installations. A closer view of the S.E.1 fuselage. The control column protrudes above and below the fuselage, and the unusual nose skid is well shown. Claude Grahame-White’s Bleriot XII White Eagle, with Grahame-White pulling the starboard undercarriage leg. It has been claimed that it was this aircraft which went to Larkhill and became known as The Man-Killer, and it was certainly a Bleriot of this type.